There are about ten quintillion insects in the world—and some of them have affected human history in tremendous ways! For as long as humans have been on earth, we've co-existed with insects . . . for better or for worse. Once you begin to look at world history through fly-specked glasses, you begin to see the mark of these minute life forms at every turn. Beneficial bugs have built empires. Bad bugs have toppled them. 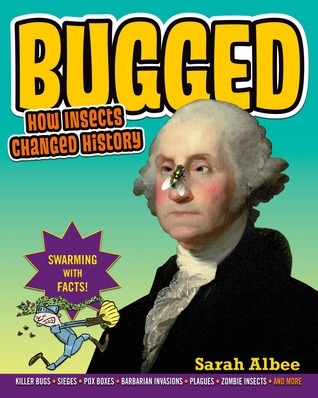 Bugged is not your everyday history book. From the author and illustrator team behind kid-favorite Poop Happened! A History of the World from the Bottom Up, this combination of world history, social history, natural science, epidemiology, public health, conservation, and microbiology is told with fun and informative graphics and in an irreverent voice, making this one fun-to-read book. Albee presents some incredibly interesting and incredibly disgusting facts about the role that insects have played in the past as well as the present. Insects have never been my favorite thing, with a very few exceptions (ladybugs anyone?). At the same time, I was aware that they have their own important place in various world ecosystems. I was also aware of the fact that some insects have helped spread diseases that to this day continue to kill millions of people. But this book provided specific information about the ways the insects have both helped and hindered human society over the years. I appreciated the chapter on the positive ways that insects have benefited humans (honeybees and other pollinators, bugs used in various products, and the inspiration for various human inventions such as red dye). Unfortunately, bugs have also reeked havoc on human societies for millennia. Using brief descriptions along with interesting sidebars and quotes, Albee shares how bugs have had a huge impact on different human eras and the journey of science in recognizing their significance in the spread of disease. Unfortunately, even today insects continue to spread disease in harmful ways. But reading about the scientists who've helped us learn about insects as vectors was interesting as was the realization that science and scientists always take time to accept new ideas, which sadly resulted in addition deaths in this case. 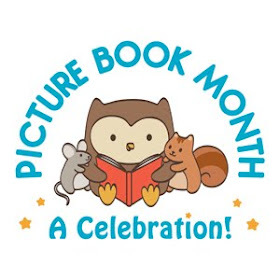 Sidebars such as Pox Box and TMI (Too much information) added to the browsability of the book by sharing brief facts about various diseases (all of which sound extremely unpleasant) as well as generally gross information about different sorts of bugs and events. Students fascinated by insects and/or disease are bound to find this book as fascinating as I did. Although readers who are easily grossed out may want to avoid it. But books like this make nonfiction reading highly appealing.